Since my wife Abby was not able to join me on my last road trip (and in fact did not want to, since it was a wilderness camping and hiking jaunt that involved a lot of “roughing it”), I didn’t have anyone in the right seat to do stuff like fold maps, program the GPS, hand me stuff from the back seat, or make notes about the things we see and ideas we have for our travels. Thank you Siri. Taking this message might have saved my life. In years past, I kept a notebook within reach, but writing in a notebook while driving (and steering with my knee) is barely a notch above texting while driving. 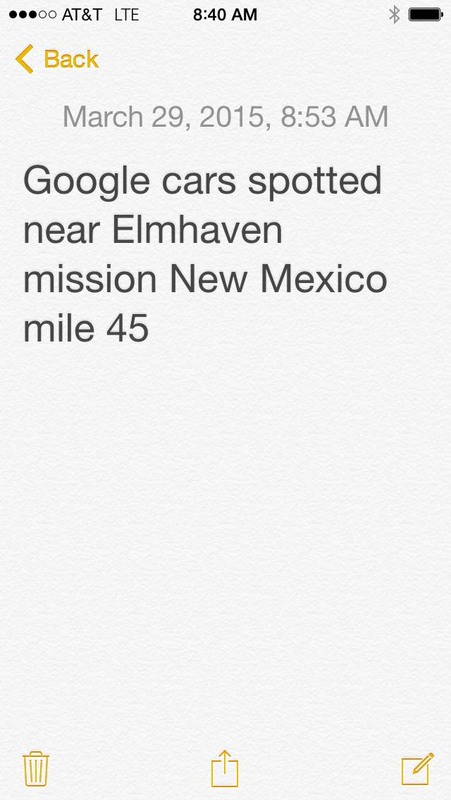 As I thought of this early in my most recent road trip, it occurred to me to tell my phone to make notes. No, really. I push and hold the “home” button on my iPhone and say, “Create note: make a train that is 3000 miles long so when it’s in Los Angeles it’s also in New York, so you’re already there.” Siri (the phone’s persona) will then say, “Okay, I created your note. It says…” and she reads it back to me. There are a couple of caveats: Siri doesn’t always know exactly what you say. One of my notes says, “Weird abandoned meteor city TPN dolma.” I don’t know what I meant. Siri also won’t make notes if she can’t find a connection to a network, either phone or wifi, despite the fact that we don’t need a connection to write my note. Still, using my iPhone and Siri to make notes is an idea whose time has come. Also, I try to keep a camera within reach at all times. It reminds me of the restriction on the driver’s licenses of diabetics: “Food, fruit, or candy within reach of driver.” I know from lots of years of road trips that there are things you might want to photograph in a fleeting moment, and that’s no time to dig around in the jackets and bags of Doritos trying to find the camera. Occasionally there are photos that can only be made as your drive past. Keeping a camera in reach, ready to shoot, has paid off many times. 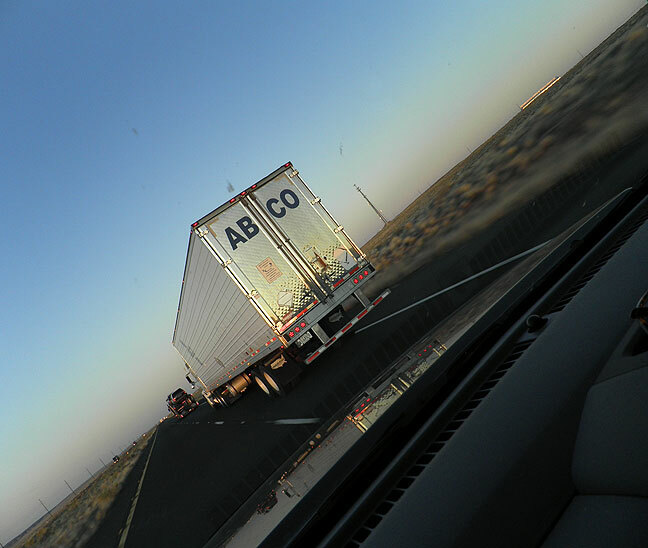 The light and the moment of this truck passing us on an Arizona highway at sunset in October 2011 couldn’t have been made without having a camera within reach, ready to shoot. I keep and use a miniature/micro tape recorder in my truck for those times when a thought or idea comes to mind I don’t want to forget or want to follow up on later. Translation is never a problem since it’s my own voice. And with a simple on and off slide there’s no distraction. My (Android) phone doesn’t have a Siri equivalent. But I downloaded a Voice Recorder app that I like. It’s two taps to begin recording, so not terribly dangerous. I’ve only used it twice so far for “notes to self”, but have used it several times for recording my daughter singing/talking. >>miniature/micro tape recorder<< Yes, but I realized that if I dictate to Siri, I can copy and paste that stuff when I am including it in a blog entry later!